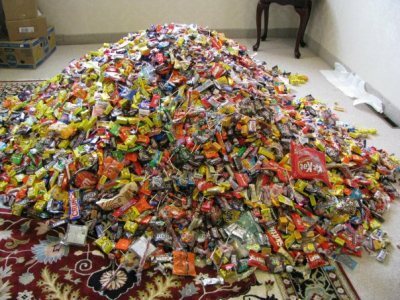 Your Texas Estate Plan: Happy Halloween...Can I write off candy I hand out? Happy Halloween...Can I write off candy I hand out? Full moon, terrible storm ravaging the Northeast, election day rapidly approaching...what could go wrong? Can I get a tax deduction for the candy I give out? If you are an individual, no, not at your front door. If you are a business, yes, if you link it to advertising/ordinary and reasonable business marketing type expenses. However, you can also just be lazy at home, and send your leftovers to our troops. Apparently this DOES count as a tax write off for an individual. Learn how here. Whatever you do, stay safe out there. And just for fun, send some well wishes to this poor little girl.